KITWE: Gender and Women in Development Deputy Minister Honourable Esther Banda commended the United Church of Zambia for being champions in issues of Gender. 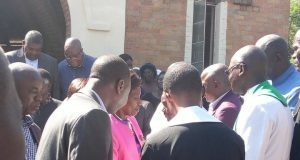 She was speaking at the long unbroken, and thanksgiving service held in honour of the Rev Dr Peggy Kabonde-Mulambya at Mindolo Congregation situated within the grounds of MEF in Kitwe. 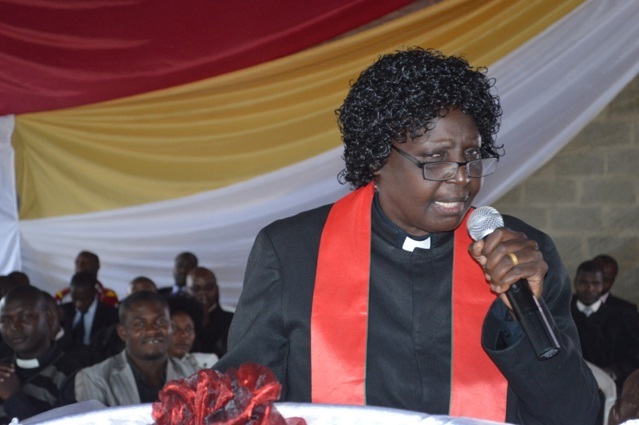 The Rev Dr Kabonde-Mulambya is currently the first female General Secretary of the United Church of Zambia based at Synod Headquarters in Lusaka. She was the fourth female minister to be admitted at the UCZ Theological College then (now UCZ University College), others being Rev Violet Sampa-Bret( former CCZ General Secretary), the Rev Milandu Mundemba (Chaplain at Njase Girls Secondary School) and Rev Juliet S. Matembo (Senior Lecturer at the UCZ University College). Rev Dr Mulambya-Kabonde has served the church for 28 years. 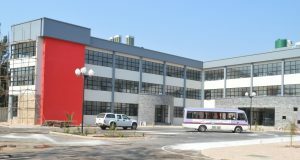 Before assuming the office of General Secretary, Dr Kabonde-Mulambya had faithfully served as a minister in several congregations on the Copperbelt, including part-time lecturering at the University College. She also served as Copperbelt Presbytery Secretary before being appointed Chaplain to the University of Zambia under the auscipies of Council of Churches in Zambia (CCZ).She had also held the position of CWM Regional Secretary. In 2011, Rev Dr Kabonde-Mulambya was elected General Secretary in a highly competitive election that included male candidates. In her speech, Gender Minister said that she was proud to be associated with a church that respects Christ’s teaching on women ministry. She further argued that UCZ started accepting and training women at a time when most countries in Africa had not yet started advocating for women. 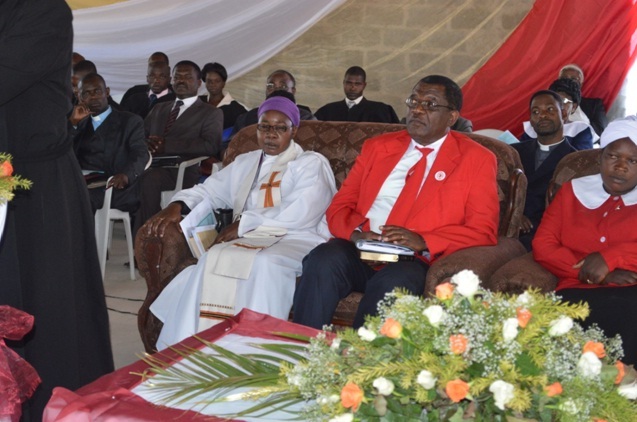 The guest Preacher Rev Mundemba in her sermon entitled “Thank you Lord!” argued the congregant to join her in thanking God for the increased recognition of women – as partners in ministry by the UCZ. 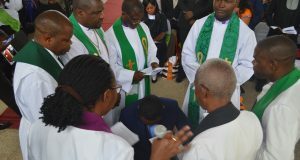 The service was led by Rev Nosiku S. Chilufya.